It just doesn’t get any better than scalloping Crystal River and in Homosassa area during the Summer months. Scalloping is like Easter egg hunting but with snorkel and fins but your treasure are the scallops you pick up in the pristine clear waters of the Gulf of Mexico. This is an enjoyable way to spend the day with family and friends and come home with some very tasty treats. When gliding over the beautiful scalloping grounds that are teaming with different types of marine life including different types of tropical fish, crabs, sponges and various types of corals. All while picking up your tasty treasure from the Gulf of Mexico. 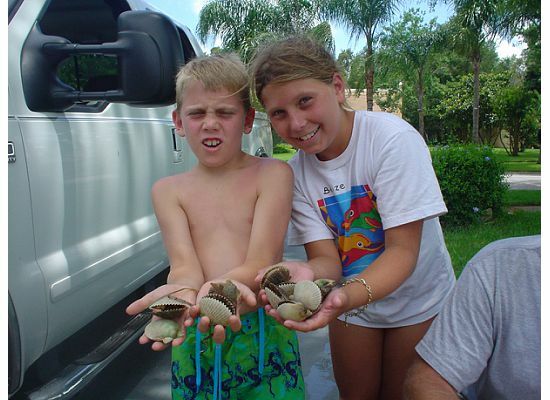 Scalloping is easily done by all ages from kids to adults. If you love the water and you can swim then you will love to go scalloping.